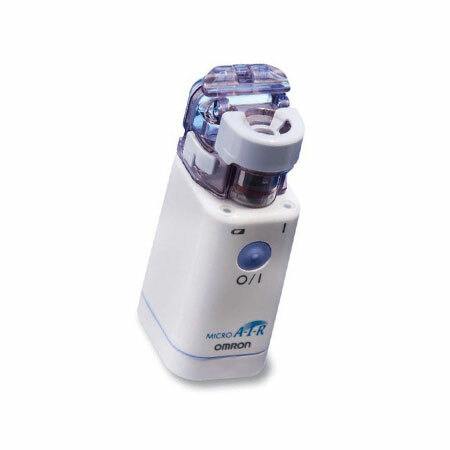 The OMRON MicroA•I•R™ NE-U22-E is a truly portable, pocketsize inhaler that will fit in any handbag or briefcase. It works for approx. 8 days (30 minutes each day) on just two penlight batteries (AA size), so you don’t need to recharge it after every treatment. The simple one-button operation immediately starts nebulization and therefore enables you to start immediately with your medication. Your medication is always within reach wherever you go, whatever you do.